Kateys Diary: Restore political status...? 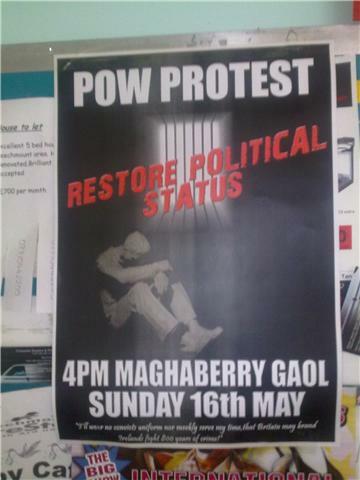 A poster advertising yesterdays' protest at Maghaberry prison. created by Kateyo at approximately 2:48 PM Categories political status.